Why do you need a personal mission/life purpose statement? It wasn’t until I started working through my identity inventory that I really started gaining confidence and understanding that I needed to be more aware of my self-direction and take control of my future. I needed to be the boss of me and place myself in spaces where I could thrive and grow. I want you to know who you are, inside and outside. I want you to love the way you were created and learn how to maximize your strengths. ***For all the details on developing an identity inventory, listen to Episode 12: Creating a Life Purpose Statement, Part 1. 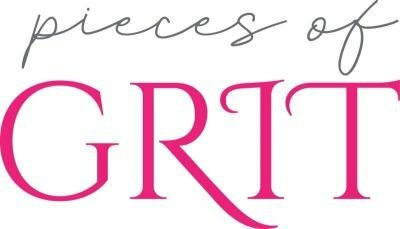 To help you work through this, download the free Life Purpose Statement worksheet under the resources tab at PiecesofGrit.com. 1. Begin by writing no more than a paragraph on what you believe is your Life Purpose. Example: My life purpose is using my education in physical therapy to help people heal from illnesses and other medical conditions. I love working with people on an individualized basis to achieve goals. Physical health plays such a large role in a person’s overall well-being and I want to see them be whole. My heart breaks when I see people with unnecessarily limited function and I am compelled to help them. Once you have your paragraph version, let it sit for a while. Weeks or even months. Meditate on it, share it and get feedback from trusted people around you. Play around with it. Change components and see if that resonates more or less. Remove specific statements that refer to companies, job positions, cities/states, or individuals. Try to get your paragraph down to 2 sentences max. 3. Continue refining and reflecting until you have your Life Purpose communicated in a single sentence. Example: My life purpose is to combine my knowledge of the physical body with my deep compassion in order to empower people to live healthy and happy lives. That statement captures core values, strengths, education, and passion without locking that person into one profession or role. It’s a filter to remind you of what’s most important in your heart and allow you to make choices in the middle of a potentially high stress situation based on parameters you set when you were calm and thinking clearly. You have to know yourself to be able to pursue your dreams and stay on the widest path with the most options. You are valuable and you have to see that in yourself before people will truly grasp that as well. My hope is that to whatever degree you choose to work on your life purpose statement, you dig deeper into your identity and allow that revelation to cause your dreams to grow bigger and brighter.